In Wristwatches > Hamilton and Illinois Wristwatches > Show & Tell. What is interesting to me is that the only marking is on the front face and it says "ILLINOIS"
When where these watches produced? Any info would be great! Thanks guys! 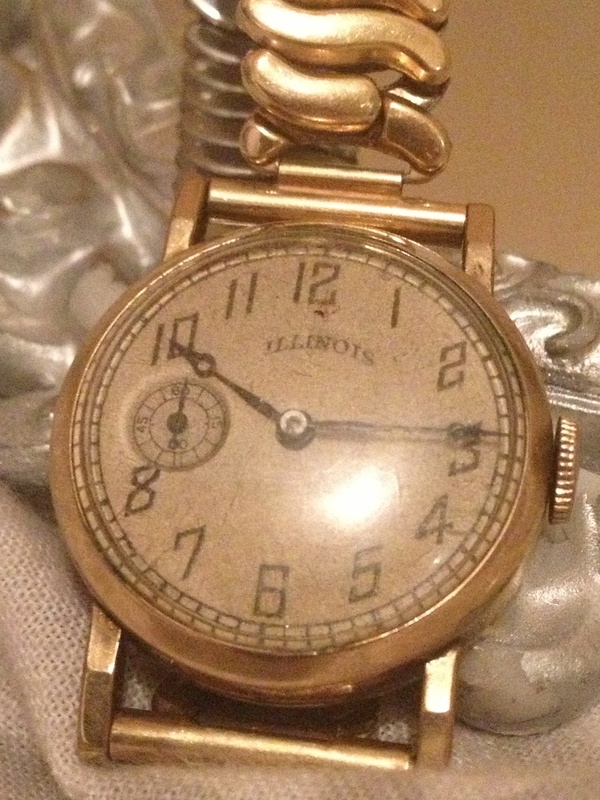 Most of these Illinois wristwatches with a 9 o'clock seconds dial were produced in the 1920s'. If you could take the back off and provide a serial number, then I could tell you when it was made. Also look for a gold mark, if any. This is just a educated guess, the style of case is using pins to attach the band or strap. These style of cases were first produced in the late 1920's, early 1930's. That would probably put this in to the "Hamilton" owned period. The sub-second dial is at the 9 which was common in that period also. As I said earlier, This is an educated guess, 1930's-40's. Sorry can't be more definitive, but maybe someone will know for sure. Sorry Jim was typing this as you posted your comment, didn't mean to step in. No problem. Now we really need to see the serial number. I'm curious. Thank you guys for the great info! I will post the serial number here in the next day or two. I am curious too & want to hear more!